Tom Schmitt took over as Middleton’s baseball manager in 2003. In that time, Schmitt and the Cardinals have won a state championship, have reached the state tournament seven times, and have been a consistent force in the Big Eight Conference. So when Schmitt utters the following statement, you take notice. Roden, a University of Creighton recruit, just finished a tremendous season and was named first-team all-Big Eight Conference. Senior outfielder Liam Belleveau joined Roden on the first team, while junior pitcher Brady Schmitt was named second-team all-league and junior utility player Zach Shipley was named honorable mention all-conference. In baseball, “ace” is used to describe a team’s number one starting pitcher, someone who can lead his team to victory with his arm. Middleton starting pitcher Drew Farrell looked every bit the part of an ace on Sunday, going the distance and leading the 29ers to a 7-0 win over Ashton. Middleton improved to 10-0 in the Northern Section’s East Division and leads second place Black Earth by four games. Ashton fell to 5-5 and will need to fight for its postseason lives over the final month of the regular season. Farrell dazzled while hurling a complete game. Farrell threw just 99 pitches and limited Ashton to four hits while striking out four. Farrell rarely faced adversity in the game, dancing around two Ashton rallies in the fourth and sixth innings. Residents and members of a local chapter of the National Organization for the Reform of Marijuana Laws (NORML) appeared before city council to ask that the city once again revisit an ordinance relating to fines for cannabis possession. 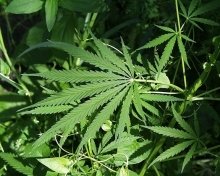 In an effort initiated by county executive Joe Parisi in 2015 to get municipalities to align with the county’s reduced fines for cannabis possession the city reduced its fines last year, however, the speakers say that the city is still out of alignment with the county and other municipalities such as Monona, Fitchburg and Madison. Shelley Kennedy is on the board of directors of Madison NORML says she’s working with the Middleton resident who brought this forward the last time, Casey Grady. She says when Grady pushed for change the city took the reins and did not make the change they hoped for. Middleton’s girls soccer team had a tremendous season and captured the Big Eight Conference championship. Not surprisingly, the Cardinals dominated when it came to all-conference voting. Senior forward Maya Shea, senior midfielder Kalli Acker and junior defender Emily Duecker were all named first-team all-conference. Freshman midfielder Tyler Wilson received second-team all-league honors, while senior forwards Payton Houden and Tessa Grywalsky, sophomore midfielder Charlotte Dunn, senior defender Lexey Grapentine, sophomore defender Emily Raisleger and junior Lexi Schultz were all named honorable-mention all-conference. Shea led the Cardinals with 16 goals and ranked third with six assists. Shea received the most votes among forwards in the Big Eight, which put her in the running for Conference Player of the Year honors, as well. MADISON — Andy Zucker grew accustomed to leading a group of golfers this season. Monday and Tuesday, Middleton’s standout junior golfer was forced into a ‘Lone Ranger’ type role. But Zucker showed he can thrive under any scenario. Zucker posted a two-day total of 157 at the WIAA Division 1 boys golf tournament held at University Ridge and finished in a tie for 28th place. Middleton failed to qualify as a team for the first time since 2013. But Zucker advanced through sectionals and turned in an extremely solid two-day performance. “I had a lot of fun,” said Zucker, who moved into the role of Middleton’s No. 1 player midway through the season. “Playing as an individual is a lot different. Zucker certainly handled the pressure well, something Middleton coach Tom Cabalka took note of. LACROSSE — Sitori Tanin finished her freshman basketball season as a reserve on Middleton’s varsity squad. But Tanin capped her debut with the Cardinals’ track and field program this spring as the leader of the pack. Tanin placed seventh in the triple jump with a personal-best leap of 37 feet, 2 ¼ inches at the WIAA Division 1 state track and field meet at UW-La Crosse’s Veterans Memorial Stadium last Friday evening. While Tanin narrowly missed a spot on the podium, trailing sixth-place finisher Armoni Brown of Waukesha South by ¾ of an inch, Tanin exceeded her expectations. Middleton’s girls soccer team seemed poised for a deep postseason run. The Cardinals seemed ready to reach the state tournament for the first time since 2013. But that dream died last Saturday when ninth-seeded Verona stunned the top-seeded Cardinals, 1-0, in a WIAA Division 1 regional final. “The season ended too quickly,” Middleton coach Mary Duffy said. “And looking back at it, it seems to have flown by and I am not sure where it all went. Most of what Middleton went through was certainly memorable. The Cardinals won the Big Eight Conference title. They had lost just once since May. And they earned the No. 1 seed in their sectional.